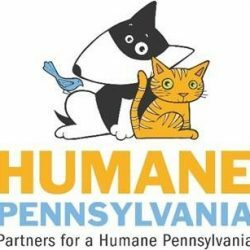 Southeastern PA—Humane Pennsylvania partners are teaming up with local and regional businesses to make the summer season a festive one for the animals! Throughout the entire month of July, everyone is encouraged to give a gift toward our annual Howliday Donation Drive in July, a donation collection to help subsidize the supply stock at The Humane Society of Berks County and The Humane League of Lancaster County. For 31 days, collection boxes will be stationed at participating businesses throughout southeastern Pennsylvania. Dog and cat food, cat litter, cleaning products and office supplies are just some of the suggested donation items. Donations can also be dropped off at either Humane Pennsylvania shelter. Donation Wish Lists are available for takeaway at all collection boxes. The Wish List can also be found on at http://humanepa.org/wp-content/uploads/wishlist.pdf. Items collected during the Howliday Donation Drive will be distributed among The Humane Society of Berks County and The Humane League of Lancaster County.